I wanted to give you guys a reminder to grab your Ball Park Flame Grilled Patties while we have that great coupon combination. With the coupons you can save $3 off a bag and have a meal ready in minutes. Even though Mother Nature is making it hard to use the grill, we can still have a great burger with almost no effort. With Ball Park Flame Grilled Patties, you can enjoy the great taste of a juicy, flame-grilled burger any time of the year. Microwaveable and made with 100% beef, Ball Park Flame Grilled Patties burst with the same juicy, flame-grilled flavor once reserved for summertime cookouts and tailgates. 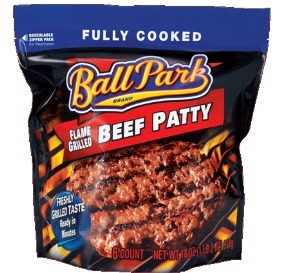 Ball Park Flame Grilled Patties are fully-cooked and ready straight from the microwave in about a minute, giving you that delicious, juicy, flame grilled taste that your whole family will love. I love these for a quick and easy lunch on the weekend. You pay a fraction of the cost you’d pay running through your local drive through. 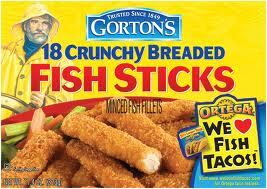 I also like to have them tucked in my freezer for baseball season. Sometimes I barely have time to get the kids home from school and homework done before we have to head out for an evening game. With Ball Park Flame Grilled Patties, I can have dinner on the table in no time flat. I’ll can add some fresh fruit, maybe a yogurt and dinner is done in under 5 minutes. The Flame Grilled Patties line-up consists of three 100% beef varieties including, Beef; Beef & Onion; and Beef & Cheese. Add a little ketchup, lettuce and tomato and you have a super easy option to please everyone. Plus, Ball Park recently announced the launch of new Flame Grilled Turkey Patties available in two varieties – Turkey and Turkey with Cheddar & Jalapeño. Yum…these sounds so good! Have you guys had a chance to try these yet? Be sure to become a fan of the Ball Park Brand Facebook page to learn more about the brand. 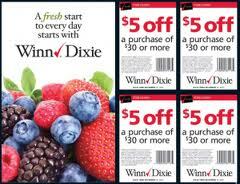 Grab your coupons and stock up…might as well fill the freezer while the grill is out of commission. You will appreciate having these on hand the next time you have to whip up a meal in a flash! This post is brought to you by the folks at Ball Park. All opinions and comments are my own. Thank you so much for taking the time and being Awesome! Michelle on Please Bear With Me –Changes In Progress! Jenny Ramsey on Please Bear With Me –Changes In Progress!